League of Legends World Championship match. But the fans in Seoul weren’t cheering for their favorite athletes. Instead they packed the stadium to watch 10 people play a computer game. The game in question was the free-to-play League of Legends, which pits two teams of five players against each other in a no-holds-barred battle to destroy the enemy’s home base. 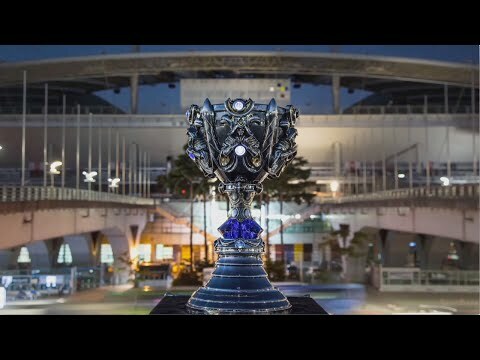 The big game was the League of Legends World Championship match, which was the culmination of a month-long tournament comprised of the 14 best teams from around the world. Unfortunately for the 40,000 fans on hand, the match was a decidedly one-sided affair, with Korea’s Samsung White wiping the floor with China’s Starhorn Royal Club. Besides winning the title of world’s best, the Koreans also walked away with $1 million, according to Forbes. Released in 2009, League of Legends has grown to become one of the most popular video games in the world with 27 million people playing it every day, according to Forbes. Besides its legions of everyday fans, League of Legends has spawned a class of professional gamers who can earn nearly $1 million per year, according to video game site Gamespot.com. While most pros are from Asia, the home of e-sports, the professional gaming community in the US is growing, with Robert Morris University in Pennsylvania even offering athletic scholarships to the country’s best young gamers.